In fact, strangely enough, even though I’m extremely surprised myself, one of the most popular desserts people search for on this blog is this oldie sweet potato cake with a chocolate pudding frosting. Funny, looking at that older recipe & photos I hardly even recognize that it’s my own work — kind of like looking at a photo of yourself when you’re a teen and questioning “is that really what I looked like back then? What was I thinking wearing that outfit? 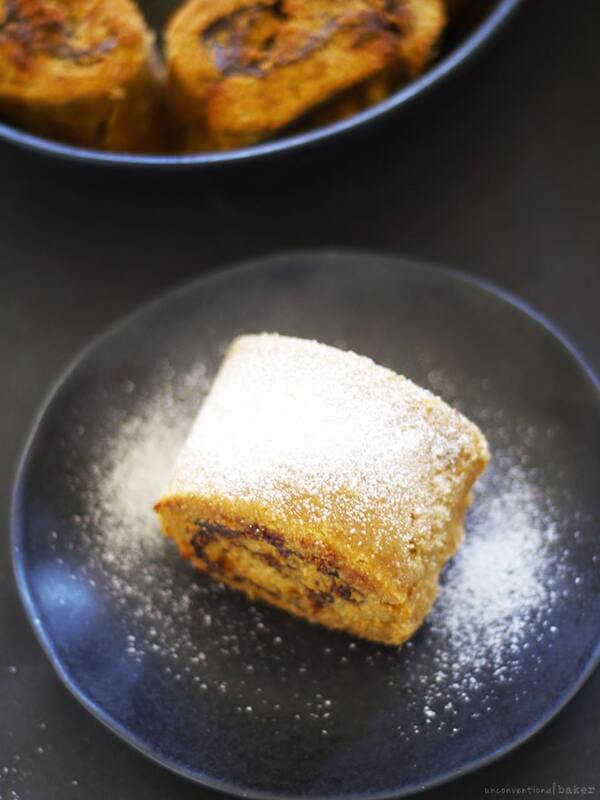 !” Just kidding, it’s not so bad — that cake is actually very delicious and the memory of it is what inspired these sweet potato chocolate rolls this year (that and a lot of leftover sweet potato puree… ;) ). So back to these rolls. They need explaining because they’re the kind of thing that’s both very familiar and very foreign at the same time because they are quite unlike any “traditional” dessert I’ve ever tried, except maybe some equally difficult to describe Asian pastries I’ve sampled in the past… But then again, I don’t see why food has to be like some other food or need a justification… Suffice it to say these rolls are delicious, autumnal, and a good way to sneak veggies into your dessert :) (queue a corny “I yam what I yam” line here…) (…which reminds me, by sweet potatoes in this recipe I mean the ones labeled “yams” at the grocery stores — the orange kind!). 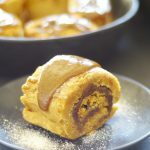 I’ve been nibbling on these rolls for breakfast and they’re the perfect cozy autumnal treat with a hot cuppa. I like mine warmed up so I’ve been re-warming them in the toaster, but they’re quite good chilled as well. One thing I will say is that they are a lot more filling than you’d expect, despite being completely oil-free. 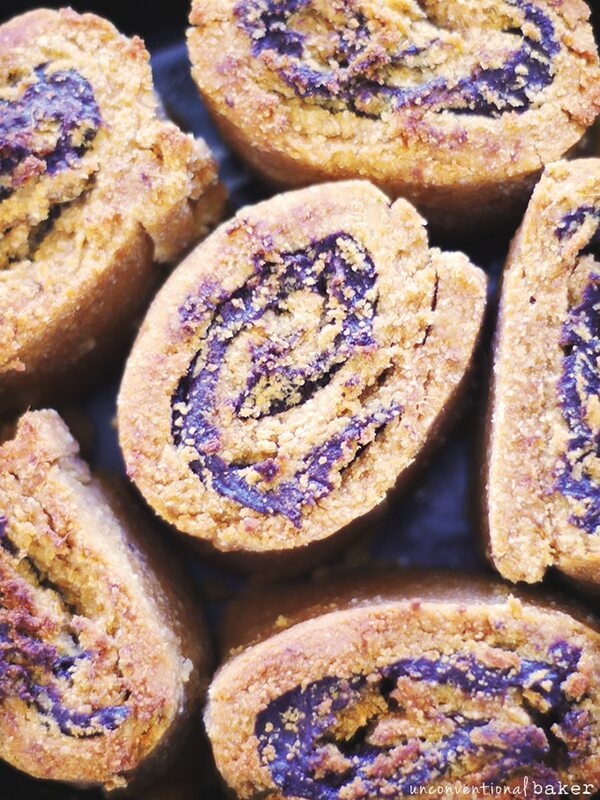 By virtue of them being grain-free, the almond and coconut flour make them quite satiating. So see how I sliced them in the photos? You want to cut those in half. That’s all I can personally manage in one sitting anyhow (can’t say the same for my dessert-hungry friend above though ;) )… More portions are always better anyhow, right? Oh, last thing I’ll say is that they are great to take with btw. Had some packed up on a road trip and they were great on the go. 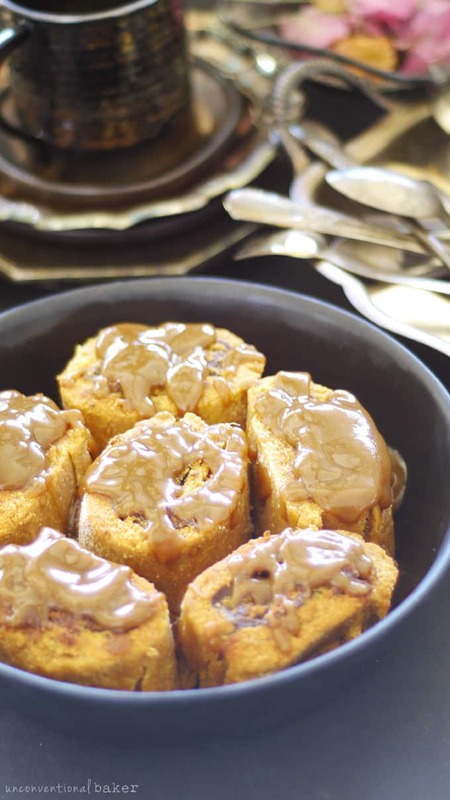 A soft, chewy gluten-free cinnamon pastry accented by a chocolate swirl and topped with dairy-free toffee caramel drizzle. Preheat oven to 350F. Oil or line with parchment a 9″pie plate or any oven-safe baking dish and set aside. Flatten the dough into a disk (don’t worry if it cracks a little around the edges). Place on a flat surface in between two large sheets of parchment paper and roll out into a flat rectangle, about ¼” thin. Lift off the top sheet of parchment and set aside. Cut into a straight rectangle shape by trimming off any uneven bits all around the edges. Melt the chocolate (double boiler or microwave on short bursts), stir in sweetener and salt. The mixture should be thin enough to spread comfortably but not runny. If it seems a little too thick stir in a bit more sweetener. 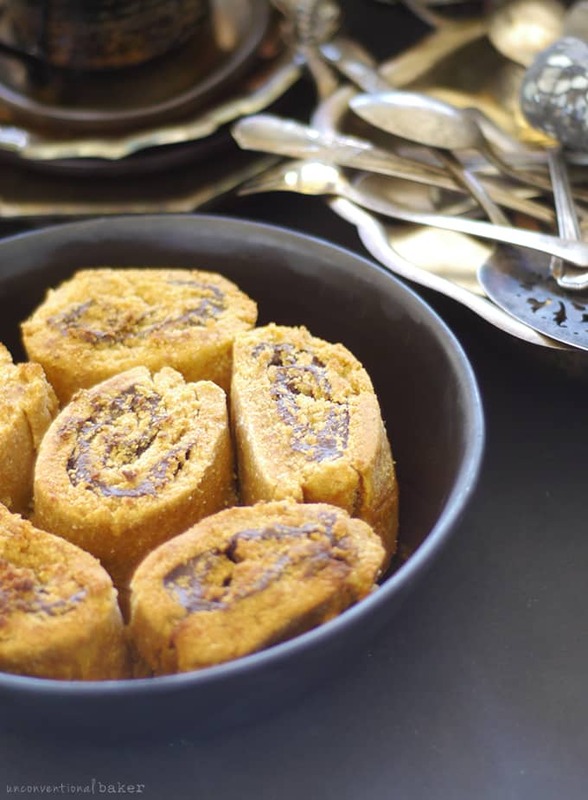 Spread this chocolate mixture over the rolled out dough, leaving about 1″ unfrosted all around. Roll up the dough into a roll by lifting up the dough along with the parchment paper on one of the wide sides and begin to roll, separating the dough from the parchment as you go. Roll as tightly as you can. Once the roll is done, trim off the ends. Cut into 10 sections (I cut mine into 6 as pictured and found them to be too big, so I recommend going for 10 instead). Place them into the prepared pan (as pictured) and bake in a preheated oven for 35 minutes. Remove and cool the pan on a rack. 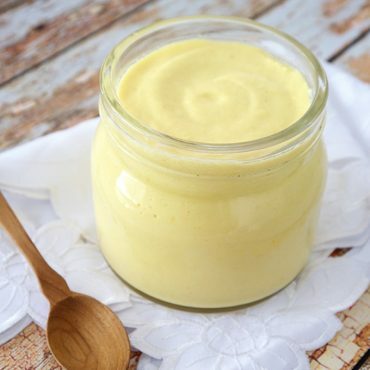 Disclaimer: this post contains affiliate links for coconut milk powder, a magic bullet blender, and an immersion blender. 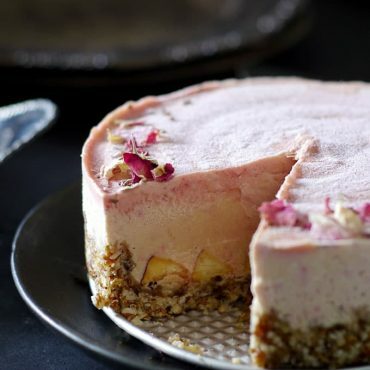 I absolutely love this unusual recipe for me because I never used sweet potato in a dessert before because I am a Belgian so This is something new exciting for me! I can’t wait to make these winning rolls! Yum Yum Yum! Thanks :) I know — it’s an odd duckling, but I love this recipe. Sweet potatoes and chocolate are so good together. 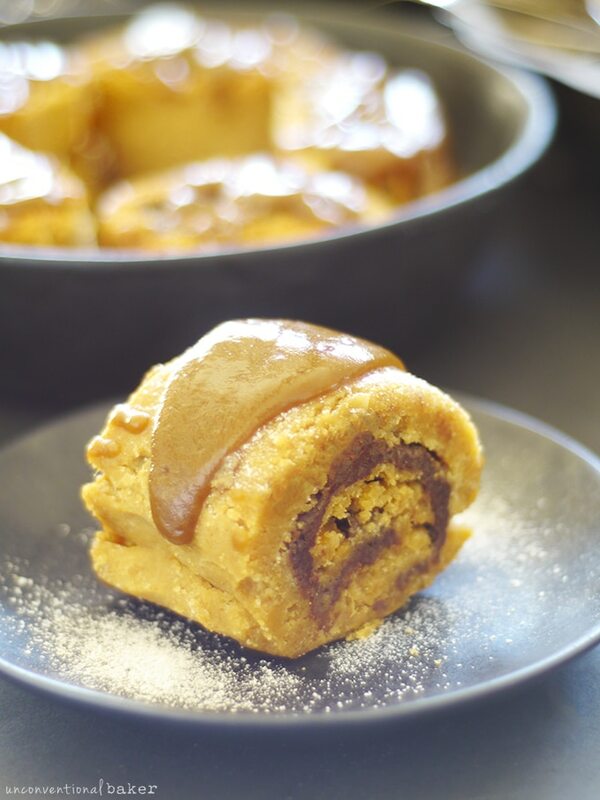 i have made these twice now, substituting my own condensed coconut milk and almond butter for the filling but these are the best cinnamon/sweet potato rolls I have ever made! they are so easy and delicious and a true achievement! Thank you for this recipe. So sorry it took me so long to respond. Just wanted to say thank you so much for the amazing feedback! I’m so happy you are enjoying these — with your own filling and all :) Actually, that filling sounds quite delicious! Thank you & happy new year! You’re welcome, Lindsey! Enjoy it :) And coconut milk powder is amazing. This looks so delicious! I love reading international blogs, because I always get introduced to dishes I didn’t event know existed! I smiled when I read your first sentences about sweet potato and chocolate being a classic autumnal flavor, because I’ve never tried that combination (I live in Scandinavia). But when thinking about it, it makes total sense. Thanks for introducing me to something new – I can’t wait to try it! amazing Audrey! And I never knew about coconut milk flakes. I always learn something from you! Hey Sarah — yes, the coconut milk powder is amazing. I use it in so many things. Just be careful as some brands add casein to theirs for no good reason in my opinion, so make sure there’s no dairy in the ingredients if you’re trying to avoid it. These rolls look amazing Audrey! I bet they taste so delightful! I love sweet potatoes, and the combination of flours sounds amazing!! 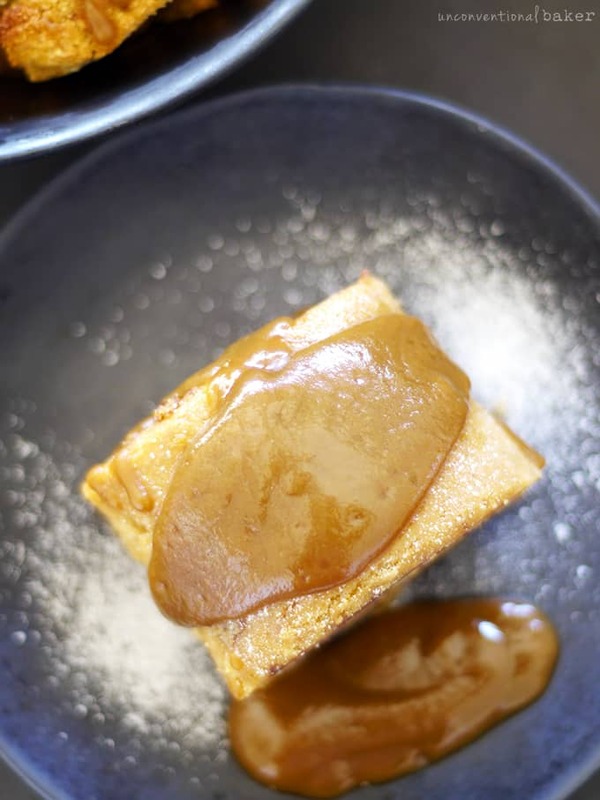 The toffee sauce sounds incredible too, such a great idea to make it with sweet potato! Yum! Love these Audrey! They are just too adorable! Love the ingredients too, isn’t sweet potato amazing in sauce?! I make a similar sauce for my sweet potato caramel recipe, I’ll have to add the carob next time, yum!! I love the chocolate filling inside too, major yum! There really is nothing better than chocolate and sweet potatoes combined! That’s my favorite pudding ever! Carob is my favorite ingredient in caramels — just a tiny touch adds such a deep caramely flavor. I love it. I have been on the hunt/experimentation for a gf roll type thing for so long, little did I know that sweet potato was the secret! Frankly I think these beat cinnamon rolls because hello, CHOCOLATE filling!! And I love that you put the sweet potato in the sauce too, I think I could happily smother that on everything or just drink it :) That’s my plan, I’ll drink the sauce and do the pretty coconut milk powder dusting on the roll because that just looks heavenly! And they are even road-trippable!?! Amazing! You are just killing it right now with the awesome recipes! 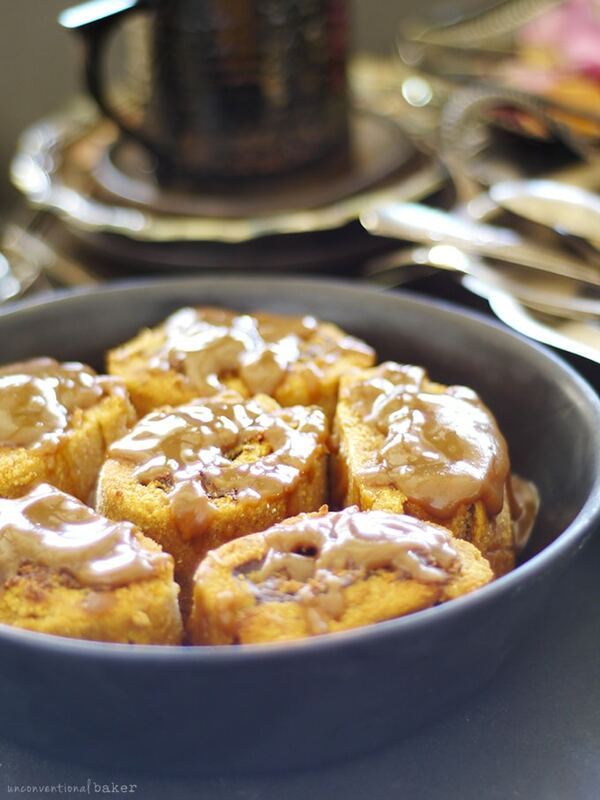 Wow, these sound insanely delicious! Chocolate? Toffee? Yes, Please! As luck would have it, I have all these ingredients! O my goodness! And they’re grain free! There is no way anyone can ever leave your site without feeling all happy and inspired! This is such a beautiful (delicious!) recipe Audrey! Bravo!